Hyderabadis who return home after the hectic work in the office and have no time to go out and shop the home needs, groceries and food; no need to worry. Both Workaholic and Lazy Hyderabadis find online shopping as a saviour. You can get the food from your favorite restaurant delivered to you in minutes through the apps like Swiggy, KFC, Pizza Hut, McDelivery, Zomato, Dominos, Foodpanda, Tinyowl, and Faasos. And if you need to go to a movie in weekends BookMyShow gets you the tickets for you. Travel across the city with Ola, Uber, Meru and other cab providers will take you wherever you want. Book your tickets from Hyderabad to anywhere across the world through Makemytrip, Yatra and Expedia. There is nothing that you cannot order through online. Shop the Clothes, Electronic gadgets, Home needs, Furniture, Footwear and also get your recharges done from Paytm, Freecharge, and Mobikwik. Here is the collection of offers and deals in Hyderabad from all the stores. Check the products you need and pick a coupon code that get you discounts. Avail Rs.50 off on first 3 Uber cab rides. Click SHOW CODE to view coupon. Valid only for new customers. Book Uber cabs & reach your destination on time safely. Get cab details VIA SMS to your registered mobile number. Book now. Looking for a comfortable stay within your budget in Hyderabad. At OYO Rooms, you can get hotel rooms starting from Rs.899 per night. Locations of hotels available at Hitech City, Gachibowli, Madhapur, Kondapur, Abids, Jubilee Hills, Lakdi ka pool, Banjara Hills, Himayathnagar, Basheerbagh, Shamshabad, Nampally. Book now. Book Hyderabad local taxi online with the best price at Uber. Brand Uber Go Base fare Rs.25, after base fare Rs.7 Per kilometer, minimum booking fare Rs.50, cancellation fee Rs.60. waiting charge Rs.1 per minute. Uber SUV base fare Rs.120, after base fare Rs.20 per kilometer, Minimum fare Rs.150, Cancellation fee Rs.100, Waiting charges Rs.2.50 Per minute. Book now. Book your cab online with Ola. Hyderabad Ola cab mini Rs.90 for first 4 km after that Rs.7 per km. Waiting charges Rs.1 per minute. Immediate bookings are available for mobile app customers. Download Android, Windows & IOS versions app available for smartphone users. Book now. 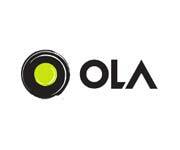 Ola provides Cabs for Hyderabad Airport Transfer for just Rs.399 for 30kms, after that Rs.12 per km for Ola Mini. Ola Sedan fares Rs.449 for first 30 Kms, after that Rs.14 per km. Ola Prime fares Rs.800 for first 30 Km, extra km Rs.18. Waiting charges Rs.1 for Mini, Sedan. Rs,2 for Prime. Download Ola app and book Ola cabs to get best fares on rides. Book a Ola micro cab for just Rs.6 Km, base fare Rs.35 applicable. Minimum fare Rs.50. Waiting and ride time charge Rs.1 per km. Under micro Hyundai Eon, Datsun Go, Maruthi Wagnor, Tata Indica care available. Book a cab on Ola mobile app and get the cab to your doorstep within minutes. Ride now. Save your traveling expenses and petrol expenses by sharing your traveling details in BalBlaCar. From Hyderabad to Bangalore fare starting at Rs.750. Enter your destination, select car owner and fare of your choice. Contact Car owner and send a private message to reserve your place with them. Travel together and pay your travelling fare at the end of your journey. It's time to get out of your comfort zone and travel to hometown. Stop waiting in queue for train tickets, bus tickets and waiting list of travelling. Just book your travelling seat at BlaBlaCar. Follow steps to book 1) Browse BlaBlacar & Enter your destination 2) Select seat price and contact car owner, book your seat by informing your personal details. Bla Bla Car providing verified profiles customer can trust and make their journey easy. Save travel expenses by taking co-travellers on your journey. Book seats and travel with more comfort. Book your bus tickets online at Abhibus and get best price on your booking. Hyderabad-Visakhapatnam bus tickets starting from Rs.650. Follow these easy steps to book 1) Select your destination and date of travel 3) Select bus operator and seats 4) Add your personal details 5) Select payment mode 6) Checkout your booking. Book now. Abhibus provides you best fare on online bus ticket booking. Book Hyderabad to Bangalore bus tickets starting from Rs.670. Follow steps to order 1) Select your destination 2) Add personal details 3) Select payment mode : Credit card, Debit card, Net banking 4) Checkout your ticket booking. Book now. 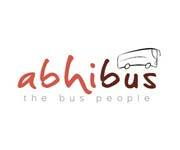 Book bus tickets online at Abhibus.From Hyderabad to Pune bus ticket fare starting from Rs.699. Follow steps to book 1) Select destination and date of journey 2) Enter personal details 3) Select payment mode and check out your booking. Book now. Book your travelling seat whenever you want to book, stop waiting in a queue for travelling tickets. From Shirdi to Hyderabad travelling seat starting at Rs.900. Enter the destination and select a car owner, contact car owner and book your seat. Travel with co-passenger and pay your travelling fare at the end of the journey to the car owner. BlaBlaCar coupon codes not required for this booking. Book now. Book taxi online at low fare on Meru mobile app. Fare for first 2kms Rs.40, Rate after 2nd km Rs.21/km, waiting charges: No charges for the first 10 minutes, Rs.1 per min after 10 mins for Meru Cabs: (Cabs are under Radio Taxi license). 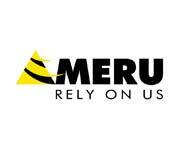 For Meru Flexi: Intra city trips: within Hyderabad city limits One way Trips: For first 8 kms Rs.200, fare after 8km Rs.21/km, waiting charges Rs.2/min. Book now. Never wait for ticket confirmation of travelling plan, Just browse BlaBlacar and make your seat confirmation at the last minute of your journey. From Maharastra to Hyderabad travelling seat fare starting at Rs.1280. Follow steps to book your seat 1) Enter your destination 2) Select ride with car owner of your choice of price 3) Get details and contact car owner and ride with the owner of the car and reach your destination with less expensive. BlaBlaCar coupon code not required for this booking. Book your traveling seats online at BlaBlaCar and travel in luxury cars. From Jaipur to Hyderabad traveling seat fare starting at Rs.3630. Follow steps to book 1) Enter your destination place and date of journey 2) Choose a car owner offering a ride going your way 3) Click on Contact Car owner and send a private message to the car owner to book your seat. At the end of the journey pay traveling fare to Car Owner. BlaBlaCar offers you best traveling offers. BlaBlaCar coupon codes not required for this booking. Book now. Book your travelling seat at BlaBlaCar and make your journey more comfortable by travelling in a luxury car. From Hyderabad to Chennai travelling seat fare starting from Rs.1200. Follow steps to book 1) Enter your destination place and date of journey 2) Choose a car owner offering a ride going your way 3) Click on Contact Car owner and send a private message to the car owner to book your seat. At the end of the journey pay travelling fare to Car Owner. BlaBlaCar offers you best travelling offers. BlaBlaCar coupon code not required for this booking. Book now. Going alone to the office, college, meetings and any other place? Just add your journey details in BlaBlaCar and share your ride with co-passenger and save your travelling expenses. Follow steps to Add ride details 1) Browse BlaBlaCar & Enter your journey details 2) Enter seat price and your contact details. BlaBlaCar providing verified profiles customer can trust and make their journey easy. BlaBlaCar coupon codes not required for this booking. Book Taxiforsure cabs for your airport transfer. Hatchback taxi fare Rs.499 (Rs.7.0/km after 30.0kms, Rs. 1.5/min of trip time). Sedan fare Rs. 499 ( Rs.9.0/km after 30.0kms, Rs. 1.5/min of trip time). SUV fare Rs.999 ( Rs.17.0/km after 30.0kms, Rs. 1.5/min of trip time). Toll & parking charges and any taxes extra as applicable. Book now. Book a cab at Taxi For Sure and get the best fare on your ride. Hyderabad taxi for sure Hatchback for Rs.49 for first 2kms, extra km Rs.6 per km. Sedan dare Rs.79 for first 4kms, extra km Rs.8 per km. SUV fare Rs.120 for first 2kms, extra km Rs.17 per km. Rs. 1.5/min of trip time is applicable on every booking. Book now. Book taxi online at TaxiForSure. Hyderabad Airport drops cab fare Rs.499. After 30kms Rs.9 per km. 1.5 per minute of trip time.Any toll charges, parking charges as applicable. Cancellation charges of Rs.100 applicable if cancelled within 30 mins of pickup time. Book now. Make your car travel affordable by taking co-travellers on your journey. Book travelling seat from Hyderabad to Goa for just Rs.1310. Follow steps to book 1) Browse Bla Bla car & Enter your destination 2) Select seat price and contact car owner and book your seat by informing your personal details. Bla Bla Car providing verified profiles customer can trust and make their journey easy. Travel with more comfortable to any place by booking your travelling seats online at BlaBlaCar. From Hyderabad to Kerala travelling fare starting at Rs.2140. Travel with the car owner who goes in your way get contact details and book your seat with the car owner. Pay money to car owner at the end of the journey. BlaBlaBla Coupon Code is not required for the booking. Book your travelling any time at Blablacar. From Vishakapatnam to Hyderabad travel in a luxury car by paying money to the car owner. Take passenger with you by offering a ride at Blablacar and save money, petrol expenses. From Vishakapatnam to Hyderabad travelling seat fare starting at Rs.1400. Bla Bla Car providing verified profiles customer can trust and make their journey easy. 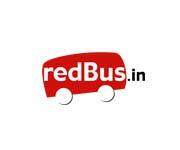 Book bus tickets online with a best fare price at redBus. Book Hyderabad to Bangalore bus ticket fare starting from Rs.700. Bus types are AC, Non-AC. Follow steps to book 1) Select your destination and Date of journey 2) Select travel bus and seats 3) Add your personal details 4) Select payment mode and check out your booking.